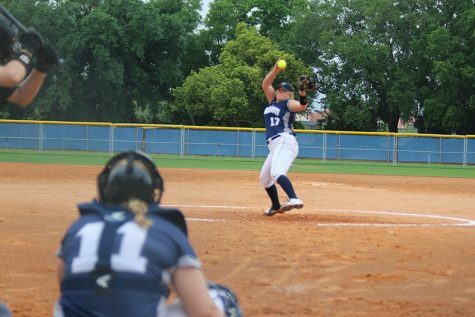 Madison College freshman Ashley Stormer pitches during one of the games the team played in Florida during spring break. Weather permitting, the Madison College softball team will open its home season on Sunday, March 29, after playing more than 20 road games. 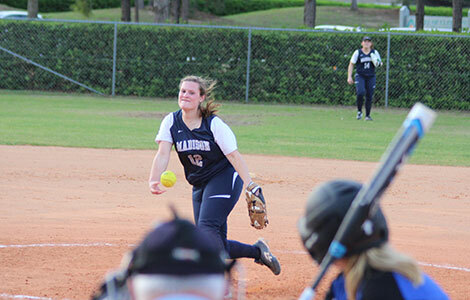 The team has performed well so far, winning five of six games in a season-opening indoor softball jamboree and posting a 9-5 record on its Florida spring break trip. With a 14-6 start, coach Leo Kalinowki’s team is already well on its way toward posting its first winning record since 2009. Five sophomores return to the team – Nicole Hoffmann, Austann Abbott, Paige Giese, Casey Beckwith and Bridget Jost. But so far, it has been the newcomers leading the way. The team’s top five hitters coming out of the spring break trip are first-year players, as are three of the top four pitchers. After 19 games, Breanna Guenther leads the team in several offensive categories. The freshman from Racine Case High School has a .529 batting average and has scored 21 runs with 19 RBIs. She also has a team-high 13 extra-base hits, including two home runs. First-year player Ashley Marshall, a transfer student from UW-Green Bay, is hitting .425, with a team-high four triples. She has scored 18 runs and has 14 RBIs. Cheyenne Holmes, a freshman from Sun Prairie, has a .377 batting average with six extra-base hits and 11 runs batted in. Brianna Smith, a transfer student from the University of Minnesota in her first year with the WolfPack, is hitting .375 with two doubles, 11 RBIs and five runs scored. Kiana Smith, a transfer student from UW-Milwaukee, is hitting .324 with 16 runs scored and nine runs batted in. Nicole Hoffmann has had the hottest bat among the returning players, posting a .317 batting average with four doubles, two triples and 15 runs batted in. 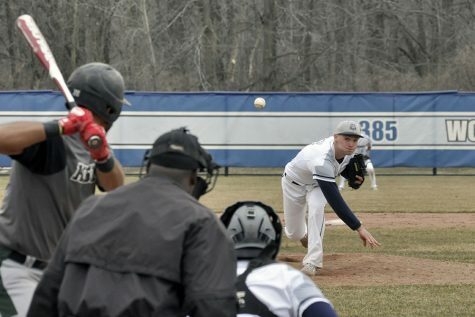 With the added firepower at the plate, Madison College is averaging 7.9 runs a game despite being shut out twice. Madison College has also seen some strong efforts already from the mound. Three new pitchers have led the way. Ashley Stormer and Courtney Boss have the best records among the pitchers, while Jenalee Wilson has the lowest earned run average. Stormer, a freshman from Middleton High School, has a 4-0 record and an ERA of 4.31. Boss, a freshman from Edgerton, has a 4-2 record and a 3.29 ERA with a team-high 19 strikeouts. Wilson leads the team with a 2.63 ERA and has a 3-2 record. The freshman from Portage has allowed only 27 hits in 29 innings pitched. Opponents are only hitting .233 against her. Casey Beckwith is the top returning pitcher with a 2-2 record. She has appeared in six games with two starts. 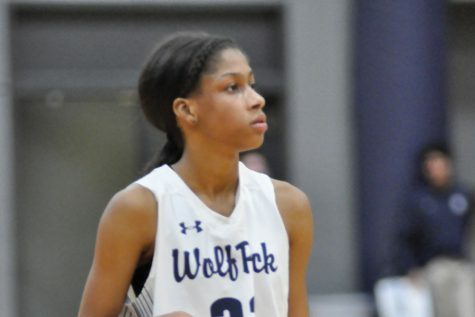 Madison College will get a chance to add to its win total as it plays four games in the Blue Knight Crossover Tournament in Rosemount, Minn., on March 27-28. The team then has three straight doubleheaders scheduled at home, starting with one on March 29 against Blackhawk Technical College.